Published September 8, 2014 at 600 × 346 in Historic Photos. 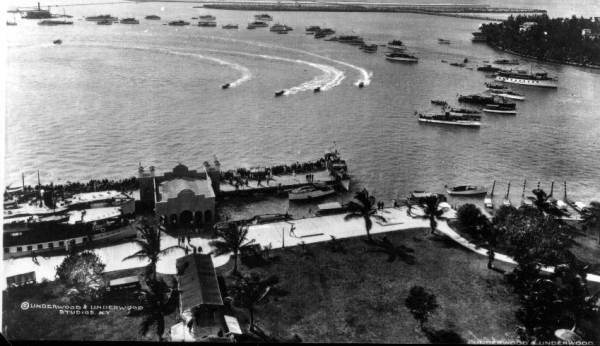 Biscayne Bay in front of Flamingo Hotel. Belle Isle upper right.